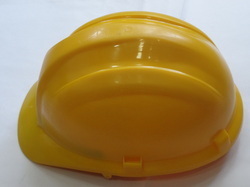 We are among the leading manufacturers and suppliers of an extensive range of Safety Helmets. Our wide assortment of these helmets is offered in diverse sizes, designs, shapes in accordance with the industry standards. We use latest techniques and optimum quality raw materials in fabrication of these helmets. 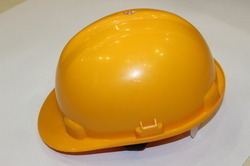 Our safety helmets are appreciated for their durability, perfect finish, precise dimensions and light weight. 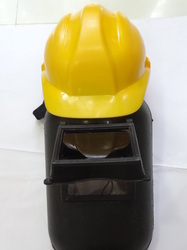 Our range comprises Welding Screen Helmet, Industrial Face Shield Helmet, White Industrial Helmet, Ladies Loader Helmet, Face Shields Welding Helmet, and many more. These are the helmet which is used against the fire, Sunlight and glare. Welding Helmet Face Shields is very crucial to use for the safety of your eyes and it is more demanded by the customers in the industrial area. Being one of leading manufacturers and suppliers, we are engaged in providing a large collection of Welding Screen Helmet. 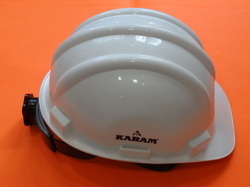 These helmets are robust designed and are made in accordance with the industry standards. Apart from this, our range is fabricated using optimum quality raw materials and innovative techniques. In order to gain utmost client satisfaction, we sternly check each product on well defined quality parameters. Our range is used in various welding and UV light emitting applications. We are among the trusted manufacturers and suppliers of a large gamut of Industrial Face Shield Helmets. We have designed and developed our exclusive range by making use of world-class raw materials, which are sourced from some of the reliable and authentic vendors of the industry. These helmets are available in varied designs, sizes and colors as per the clients’ varying demands and needs. Supported by a team of immensely skilled professionals and well equipped infrastructure facilities, we are involved in manufacturing and supplying a wide range of Industrial Helmets. These helmets are made in accordance with the set industry standards and by using well tested raw materials. To meet the varying demands and specific requirements of our valued clientele, we offer our range in varied sizes, designs and shapes. 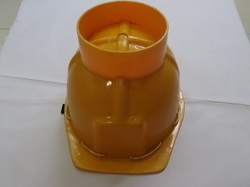 We offer Guard Helmet to our valuable customer and our product is made of good quality. We offer Helmet with Torch to our valuable customer and our product is made of good quality. 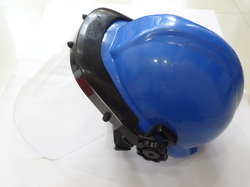 We offer Helmet with Face Shield to our valuable customer and our product is made of good quality. These helmets are made of the light Polyethylene therm-plastic for removing the chemical resistant of the dust particle. 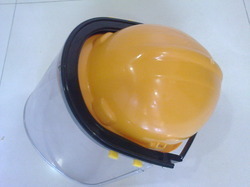 Industrial Safety Helmet is Available in red, blue and yellow color in the market. It is developed with the different numeric parameter by the engineers to provide them an optimal strength. They are easily washed by the soaps. With years of industry experience, we are involved in manufacturing and supplying an extensive range of robust designed Ladies Loader Helmet. Our range is widely acclaimed for their wear and tear resistance, durability, strong construction, lightweight, longer serving life and comfortable fittings. Clients can avail our comprehensive range of diverse specifications and at most reasonable rates as per their requirements. 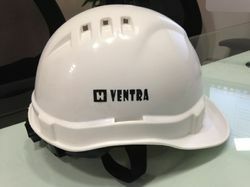 We offer Ventra Helmet to our valuable customer and our product is made of good quality. 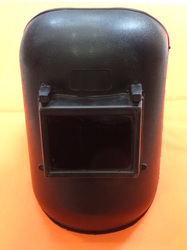 We are involved in manufacturing and supplying a wide range of Welding Hand Hand Screen. 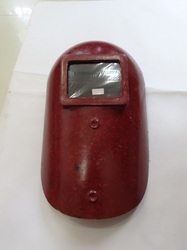 These hand screens are made to provide protection to the eyes and face from sparks during the welding works and offer precise and clear welding. Our comfortable to wear and highly reliable range is available in varied specifications and at most reasonable rates in market. These fiber glass screens are made in adherence with the international quality standards.